Senators from Edo state on Thursday, August 6, disagreed on the proposed World Bank loan for the state. The Senate deputy chief whip, senator Francis Alimikhena, APC, Edo North described the loan as very important and timely saying the previous ones have been useful and effective in carrying out World Bank projects in the state. He however, warned his colleagues not to play politics with the proposed loan. His colleague, senator Mathew Uroghide, PDP, Edo state disagreed sharply stressing the need to verify previous tranche so as to establish if the loan was used appropriately. He further stressed that Edo state cannot afford to go for such a loan now when it is presently groaning as it cannot pay salaries. 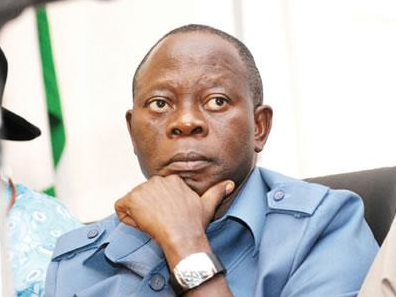 Senator Clifford Ordia, PDP, Edo Central also opposed the request on the grounds that it will plunge the state into further indebtedness stressing that if the loan was approved, it would raise the state’s debt profile under Oshiomhole to N44.1 billion ($225m) in World Bank. The state’s chairman of the PDP, Chief Dan Orbih while also speaking with journalists yesterday in Abuha, argued that if the loan is approved it will impoverish the state as the state forms one of the most indebted states in the country. He urged the Senate and the House of Representatives to reject in its entirety the proposed $75 million credit loan. “I want to call on the leadership of the Nigerian Senate to kindly reject the request for Mr. President to grant this money to the Edo state government. The issues that comes to mind at the mention of this loan are; what is the governor going to use this loan for? How has he utilized previous loans obtained by his government because you must look at what he has done with the previous facilities he has taken before considering offering him any new financial lifeline. “Don’t forget not too long ago, he went to the capital market to obtain 35 billion loan for the Benin water storm project as we speak the only thing after paying out billions of naira in respect of that project all that is visible today in Benin city is the pool of stagnant water littered all over Benin city and the attendant emergence of what people now refer to as Oshiomhole mosquitoes, very stubborn and deadly mosquitoes that is what that project has brought to the city. “We see this request by Oshiomhole presented to the Senate by the president as a request to further impoverish the good people of Edo state, to further drive the state into a bottomless pit of ineptness occasioned by his mismanagement and misappropriation of his government. We call on the leadership of the Senate to reject this request and it is time for all hands to be on deck to check the declining economic fortunes of this country. This is not time for needless borrowing by government and government institutions. So, I think what Edo people expect from the senate leadership is to reject this request. “More so, it is coming from the means of a previous rejection by a minister, we are aware that the former minister of finance, that great lady of distinction had earlier reviewed this request, an informed position of a renounced economist. She analysed this request and rejected and declined to approve this request. Going through the back door now by way of request to the Senate is Oshiomhole’s antics of wanting to play smart, the world is now aware why Oshiomhole has be launching an attack on that woman of distinct, I think she can now laugh loud now that the actual reason for the recent uncontrolled attacks by Oshiomhole on her person is arising for this request which Oshiomhole made earlier which she turned down,” Orbih said. President Muhammadu Buhari had written to the Senate seeking its approval to obtain a total of $75 million credit loan totaling N14.7 billion from the World Bank for Edo state. The president stated in his letter to the Senate that the proposed loan facility would be a second leg of a Development Policy Programme approved by the World Bank in 2012 to the Edo state government for implementation in three tranches of 75 millon per annum.